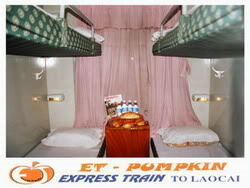 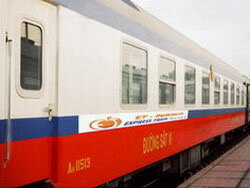 Like the other Sapa tourist train, Pumpkin Train is not a separate train, it offers soft sleepers, A/C and clean four-berth cabins in 2 carriages which go with local trains (LC5 and LC6) between Hanoi and Lao Cai. 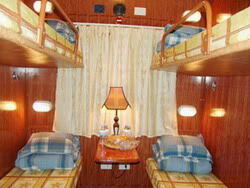 The cabins are quite nice following the wooden decorated form make it more cozy & clean. 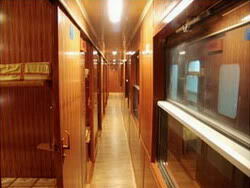 Bread & small bottle of water are supplied in every one for free. 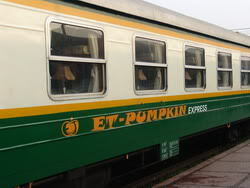 Pumpkin train is one of the best choices for tourists to Sapa.